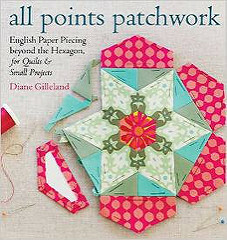 So, if you get into English paper piecing, sooner or later you'll discover the Grandmother's Flower Garden quilt. It's an old design, dating back to the 1930's, that involves a quilt top pieced entirely from little hexagons, all arranged in a pretty flower pattern. I loves me some Grandmother's Flower Garden. I've started four of these quilts over the years. 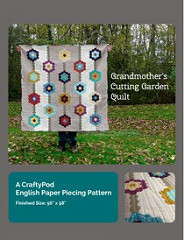 But the problem is, making a Grandmother's Flower Garden involves sewing about a thousand hexies together, and I always peter out long before that number. …And that's why I designed this pattern. It's my way of getting a beautiful hexie flower quilt, but with way less work. I decided that I wanted the fun of making the flowers, but stitching a whole mess of plain background hexies to connect them… not so much. And so I figured out this straight-row design. it's reminiscent of how a typical cutting garden of flowers is planted, in wide rows for easy access to the blooms. 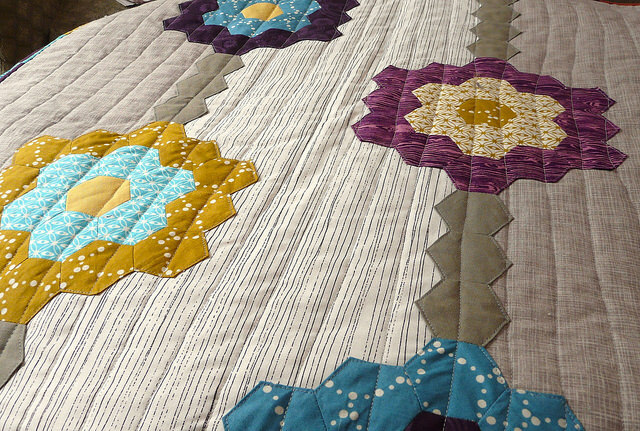 And it sneakily fills the quilt top with flowers, but without so much hand-stitching. 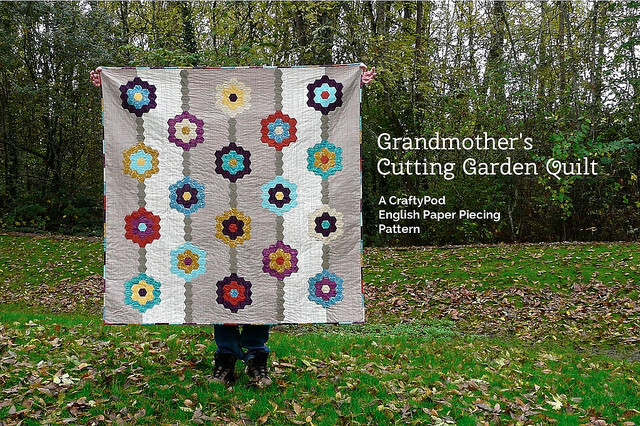 For this quilt you need just 18 English paper-pieced hexie flowers, plus some hexie stems to connect them. When you finish the EPP, you machine applique it to a simply-pieced quilt top. 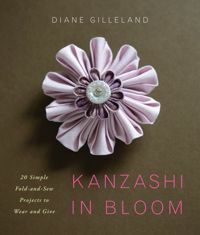 Add some quilting and a scrappy pieced binding, and you have it! The pattern is now available in my shop, and you can get the deeper details of materials and such over there. 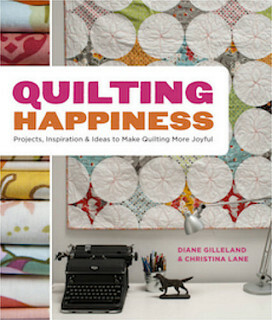 It's a bit of a whopper at 48 pages, but I wanted to cover every facet of the EPP and quilt-making processes in a beginner-friendly way. 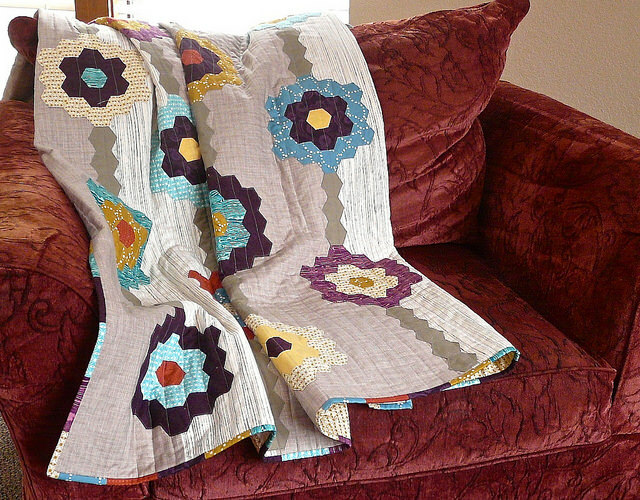 If you've never tried EPP or quilt-making, you can totally make this quilt. If you're an old hand, then you'll just enjoy how quickly it all comes together. Happy Stitching! Posted by Margaret (not verified) on Nov 3rd, 2014 at 9:55 pm. Posted by Silvia - Madame... (not verified) on Nov 3rd, 2014 at 11:21 pm. LOVE THIS! 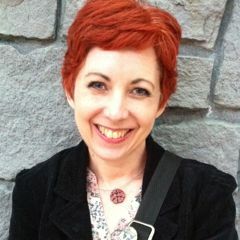 And I really love your fabric choices... gorgeous! Posted by Laura D. (not verified) on Nov 4th, 2014 at 11:17 am. I love how graphic this design is with the fabric stripes! And, I love it even more now that I know that only the flowers and the stems are hexies, and not the entire project! 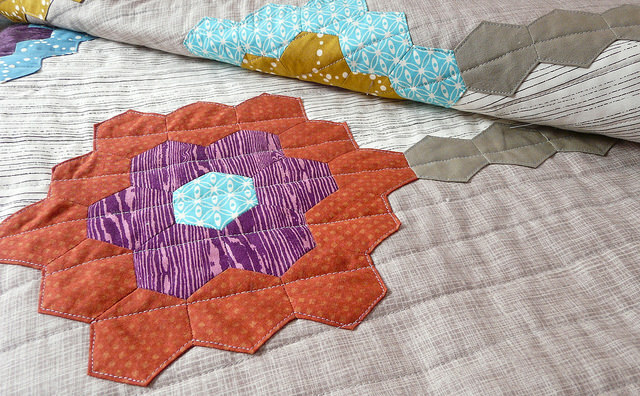 I'm going to attempt a hexie project soon (made with large hexagons), and I think it will give me the confidence to try this quilt, so I'm heading over to your shop to purchase it! Posted by Cindy G. (not verified) on Nov 4th, 2014 at 1:34 pm. Posted by Stephanie (not verified) on Dec 22nd, 2014 at 3:37 pm.